24 August. Although agreed in 1944 in relation to an Allied invasion of Sumatra, only now is the Anglo–Dutch Civil Affairs Agreement formally signed. Its key provision is that areas recaptured by Allied troops will revert to Dutch colonial rule via the Netherlands Indies Civil Administration (NICA). On 2 September, it is decided the agreement will apply to all areas of the Netherlands East Indies occupied by British forces. 2 September. A Presidential Cabinet led by Sukarno is sworn in during the first session of the Indonesian KNIP proto-legislature, which opened on 29 August with Kasman Singodimedjo in the chair. This cabinet will last until mid-November. 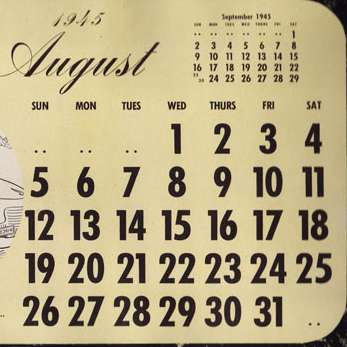 5 September. Sultan Hamengkubuwono IX of Yogyakarta in Central Java sends a letter to Sukarno, expressing his support for the newly born nation of Indonesia and acknowledging the Yogyakarta Sultanate is part of the Republic. The region receives the status of a special territory. 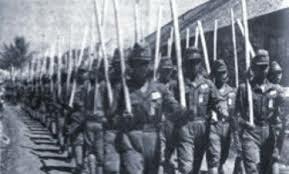 Four weeks will pass before Japanese troops in the city actually relinquish power. 8 September. Weeks in advance of a full-scale landing by SEAC forces, a British reconnaissance force parachutes into the city. This is part of the Recovery of Allied Prisoners of War and Internees (RAPWI) mission in Indonesia. 11 September. Barely a week after a Republican administration was proclaimed in the city, a massive pro-independence rally is held in Surabaya. A second mass demonstration follows on the 17th. Such popular expressions of support for merdeka (freedom) are echoed across the country. 15 September. A week after an advance party lands in Jakarta, a British naval squadron arrives at the city’s Tanjung Priok roadstead. On board are RAPWI control staff whose urgent task is to coordinate the rescue and repatriation of POWs and internees. A group of NICA (Netherlands Indies Civil Affairs) officials is also on board, led by Ch. O. van der Plas, the former Governor of East Java. Local Japanese commanders, including Admiral Maeda who has played a key role in launching the Indonesian revolution (see p. 109), immediately present themselves and formally surrender. 5 September. Portuguese (East) Timor accepts transfer of authority from the Japanese, although the Australians insist upon a separate ceremony in Dili, alongside the official Japanese surrender ceremony conducted in Kupang (West Timor) on the 11th. Portuguese and local communities look forward to the arrival of Portuguese relief ships and truly welcome them when they appear on the 27th. 10 September. President Sukarno formally declares an end to Japanese authority in Indonesia but high Japanese officials state they will surrender to the Allies, not to the new Republic. On the ground, the situation varies from place to place. 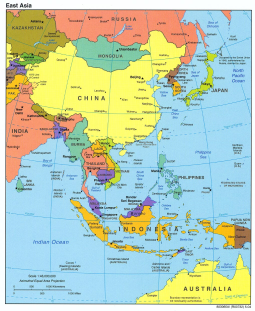 In the Javanese hinterland, the Japanese choose to withdraw from certain urban areas. Some Japanese units are also actively arming local Indonesians, whereas others are neutral or even hostile to the Republicans and continue to follow instructions to maintain order until British forces arrive.